*Brown Yarn. (I used less than half a ball of scrap for each set). If you want two-toned ears use one color for front and one for back. 1. 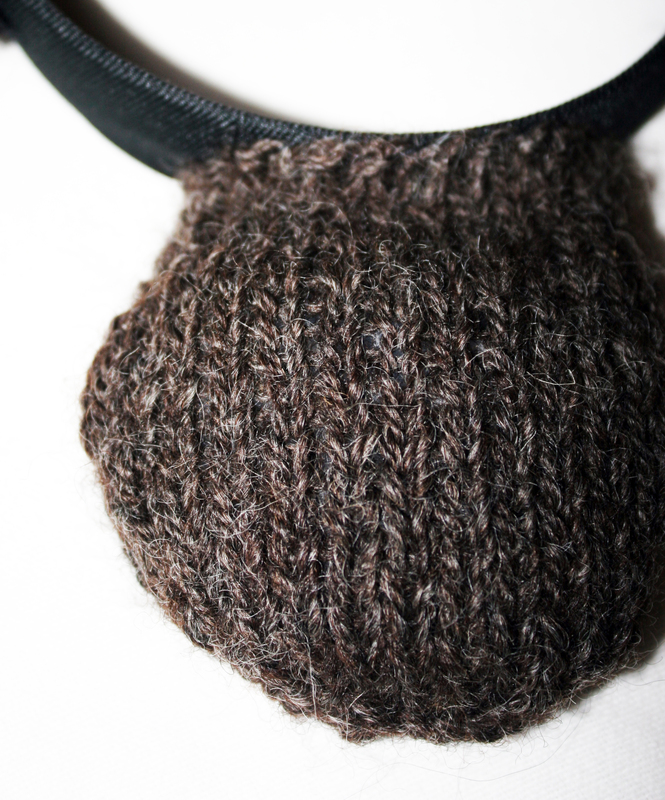 Knit up ear shape in Stockinette. (I am in no way qualified to write a knitting pattern, but this is really easy to do if you know how to increase and decrease). I began by casting on about 10 stitches, increasing for a few rows on each side when I reached the middle of the ear and then decreasing for a few rows on each side as the ear looked to be about the right size. I bound off with about 6 stitches at the top. 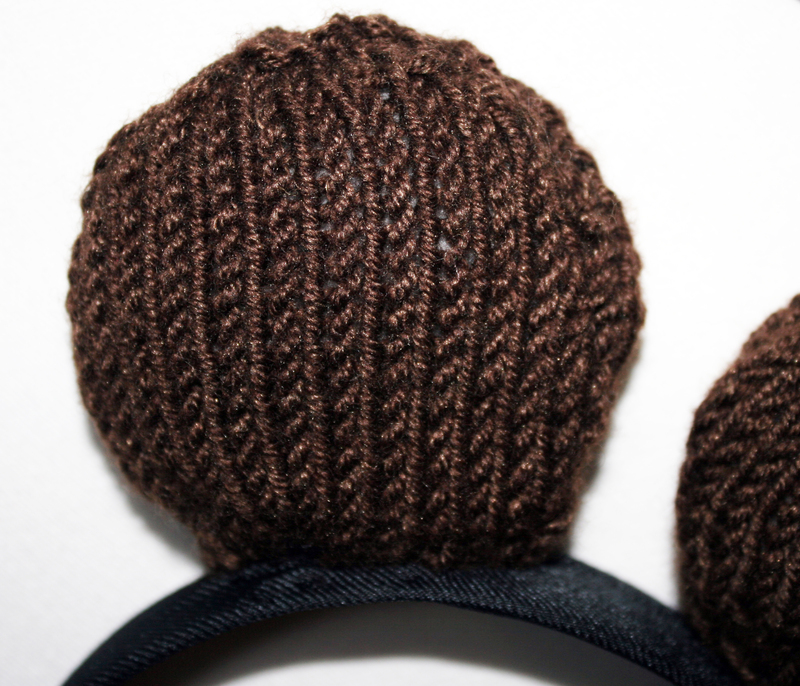 Ears will be knitted in two pieces and then sewn together. 2. 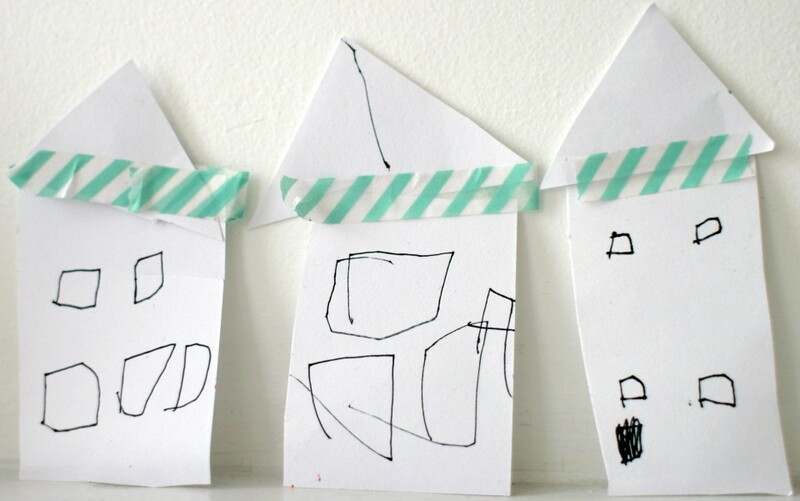 Repeat above until you have four of the same pieces- two fronts and two backs. 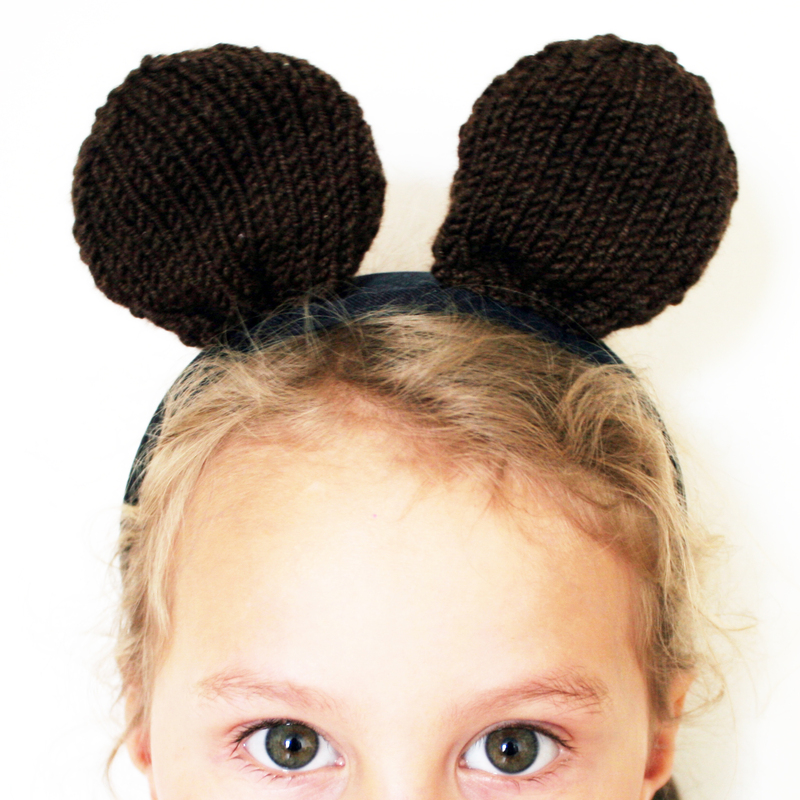 If you are making two-toned ears you should have two of each color. 3. Sew front and back of ears together, leaving the bottom open for stuffing. 4. Bend pipe cleaner into half circle, insert into ear and trim ends so they are not sticking out. This will keep the ears from flopping. 6. 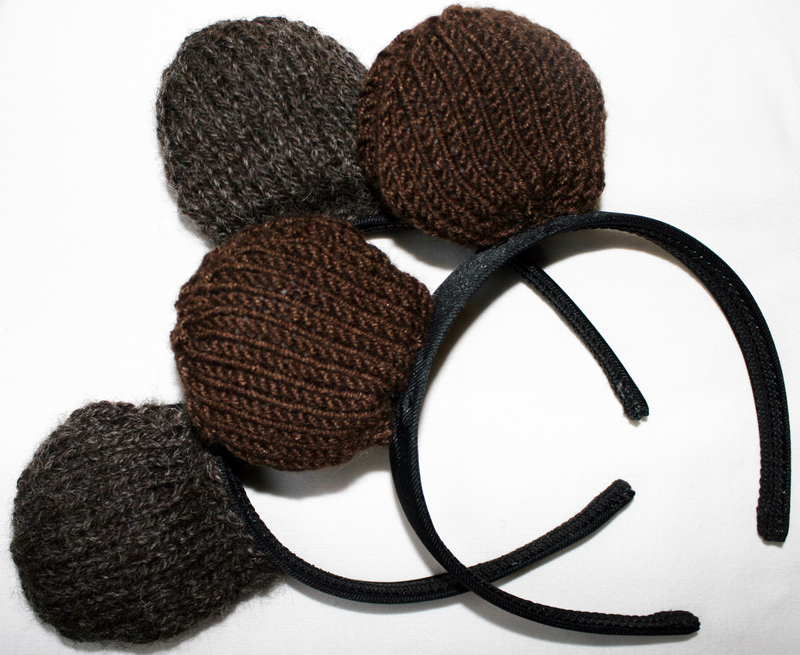 Sew ears onto headband, pushing stuffing up inside as you go.